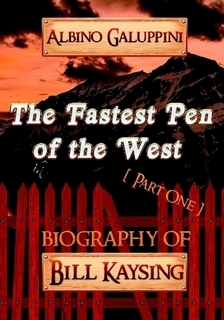 Bill Kaysing, (sometimes known as 'Wild Bill Kaysing') was known through the world as author of dozens of books and hundred of articles on a wide variety of subjects. His full name was William Charles Kaysing (after his father, Charles William Kaysing). He was born in Chicago in 1922. While still a young boy, his family moved to South Pasadena , California. His father died when he was just nine years. The loss of his father affected him deeply, and he consoled himself by spending many hours at the San Pedro Harbor making friends with boat owners, learning much about boating and sea life in the process. Bill joined the navy in 1940's and after a few years as a mid-shipman he was sent to officer's training school, which led to his attending USC. The war ended before he finished school. Bill continued his education at the University of Redlands , obtaining a Bachelors Degree in English Literature. During this time he married his childhood sweetheart, Carol M. de Ridder, a ceramic artist. They were living in the coastal town of Manhattan Beach , California when his first daughter, Wendy Lynn, was born in 1949. After college, Mr. Kaysing worked as a furniture maker in nearby Santa Monica . He later moved to Topanga Canyon when his second daughter, Jill Elizabeth was born. Mr. Kaysing then began working for Rocketdyne's (a division of North American) jet propulsion laboratory, located in Santa Susanna, California . To be closer to his work, he moved to Canoga Park in the west end of the San Fernando Valley. In the mid 50's the valley was primarily agricultural producing oranges, onions, and corn, the fields and orchards were surrounded by horse ranches and dairy farms. As a technical writer, and then later as head of publications, Mr. Kaysing was responsible for interpreting technical data concerning liquid rocket propellants into layman's language in order to procure government funding for more research. Actual rocket engine testing was performed regularly at the Santa Suzanna's testing site, and unknown to many people for many years, several of these tests resulted in nuclear 'meltdowns' as dangerous as that of Chernobyl, only recently a class action suit taking decades was settled due to the serious health effects of these meltdowns. When he wasn't working, Bill indulged in his life long love of motorcycles. He frequently participated in track, desert racing, and hill climbing. He was a strong competitor, often finishing close to first in many of these races. He confessed he loved being in nature as much as he loved riding his motorcycles, especially the desert for which he had a strong affinity, the desert was almost a magical place to him. After seven years as a technical writer and watching the once rural San Fernando Valley transform into a 'wall-to-wall' suburbia shrouded in smog, Bill decided to 'chuck it all' by quitting his job at Rocketdyne, selling his modest tract house, and by purchasing a small travel trailer. He 'cast his fate to the wind' traveling to and through five states in the Pacific Northwest. He eventually settled on the banks of Lake Sammamish in the town of Bellevue , just south of Seattle, Washington . There he obtained a real estate license and though he loved the pristine beauty of western Washington , he disliked the rain so much that after a wet winter he packed up his family once again, this time heading back to the familiar and semi-arid climate of Southern California . He chose Santa Barbara, one of the most beautiful coastal cities in America, in which to settle down and raise his children. Bill worked in marketing and advertising. He created a very successful dental instrument business for an inventor/businessman he met. 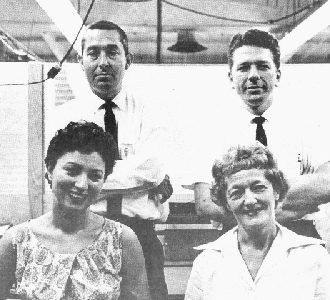 Crew of technical publications unit at Propulsion Field Laboratory (Rocketdyne, a division of NAA), about 1961. Bill Kaysing and Les Helson (standing, right). Seated are Norma Bachman (left) and Ginny Beery (right). 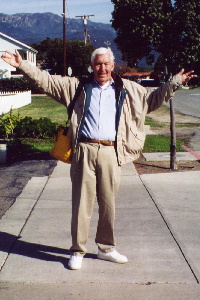 While in Santa Barbara, Bill began meeting people who would influence his writing, including Vernon Johnson, who had traveled around the world in a bus with his eight children. Bill and Vernon became fast and close friends until Vernon 's passing in the 80's. 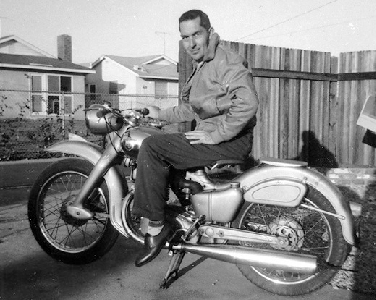 At this time, Bill began writing freelance articles, beginning by utilizing his in-depth knowledge of motorcycles. A series of articles focusing on motorcycle safety were published in Cycle World magazine. This series became the basis for his first book, Intelligent Motorcycling. After a divorce from his first wife, Bill married Ruth Cole Kaysing, a former legal secretary, who became Bill's muse and editor. 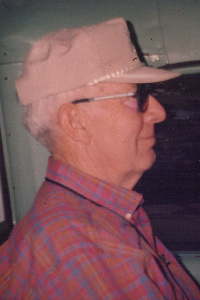 His next book was entitled Great Hot Springs of the West, (1969) which he and Ruth researched first hand, combing the western state for both natural and developed hot springs. This book was followed by 'The First Time Farmer's Guide, published by Straight Arrow Books (a division of Rolling Stone Magazine) which became an instant hit with young and older people alike swept up in the then popular 'back to the land' movement. Research on these books led Bill to relocating to West Point, California, situated in the foothills of the Sierra Nevada's. 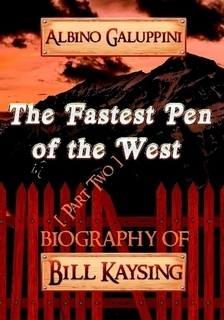 Dubbing himself as 'The Fastest Pen in the West', Bill penned many other books including the How to Live in the New America, The Robin Hood Handbook, and Freedom Afloat, along with many articles on a wide variety of subjects including how to build small 'granny' houses written for such diverse publications as the The Mother Earth News. At this time he also started a newspaper called 'The Better World News'. This newspaper espoused his personal philosophy of living life to the fullest by healthy eating, utilizing preventative medicine, and also encouraging people to experiencing things in life one wants to do before one is too old to do it. Bill himself embraced life as a fun adventure. One of his favorite quotes was, 'It's my life, I live it, I love it, criticism be damned.' His favorite philosopher was Marcus Aurelius, while his literary influences came from the writings of Jack London, Mark Twain, Thomas Paine, Shakespeare, and the words of Jesus--inspiring him to write a booklet that he freely distributed entitled, 'Homes for the Homeless.' Through out his life Bill was a strong advocate for the homeless. 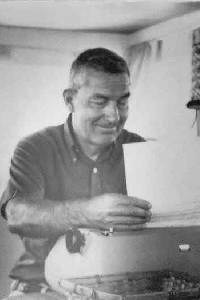 Bill regularly gave of his time, money, food, and other goods to both the homeless and the poor, and was often successful in securing housing for them, including finding old or abandoned boats, refurbishing them, and giving them to those in need! In the mid 70's Bill and Ruth moved to Lake Tahoe, Nevada, where they simply enjoyed life and the surrounding beauty of the lake. 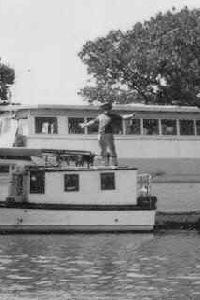 A couple of years later they returned to California where they lived in on a refurbished Coast Guard Cutter in San Joaquin Delta. This is where he and wife Ruth, wrote, How to Eat Well for a Dollar a Day, and The Dollar a Day Cook Book (later revised to, How to Eat Well for a Dollar a Meal, and The Dollar a Meal Cookbook). Subsequently, Mr. Kaysing moved his house boat to Oakland , California. It was here in the harbor area, that he met some Vietnam War veterans. The conversations he had with these disillusioned veterans inspired him to research the then recent USA Moon Landing. Mr. Kaysing discovered enough evidence, collected world wide, to make him doubt the credibility of NASA. His book, We Never Went to the Moon, was the result of many years of research, subsequently earning him the distinction of 'The Father of the Moon Hoax Theory.' As a result of this book, he became a popular guest on talk radio and television shows around the world. He often stated that he used the moon hoax theory to inspire people to question authority, especially our countries leadership, and to live life, as he had done, free of 'Madison Avenue' or corporate influences. After the death of his wife Ruth, Bill moved to Henderson, Nevada. He had always loved the beauty of the desert. It was here that he dedicated the last years of his life to helping his dear friend Sylvia Renee Lyss run an abandoned cat sanctuary. He literally worked until he dropped. Bill died in Santa Barbara in April of 2005, following complications after an angioplasty, surrounded by his two daughters, Wendy and Jill. Loved and admired by the thousands of people he inspired, he will be missed.